From Nate Silver’s book. 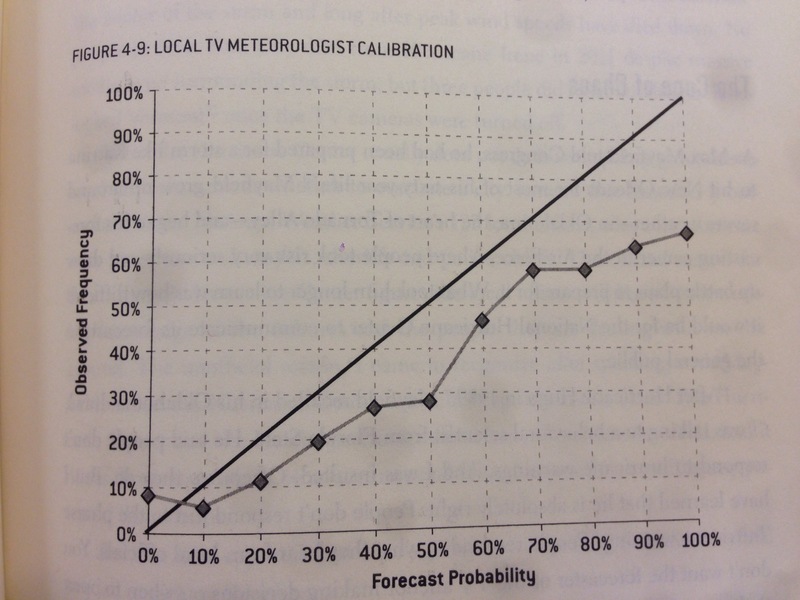 Referring to local TV meteorologist’s clear preference towards better television. No one believes in their accuracy any ways! This apparently is the justification for this behavior.